A door is far more than a simple entranceway into your home. Whether you’re driving up to a house for the first time, or you’re sitting in your garden looking back at your home, the appearance of your external doors is incredibly important. 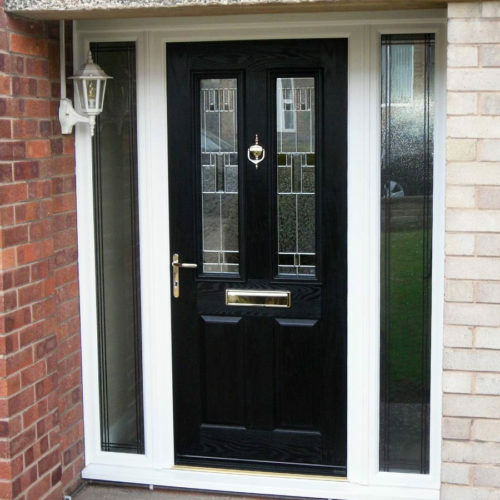 Given how important it is to get the right door, KLG Rutland makes and installs doors in Nottingham and Derby that give our customers what they really want. 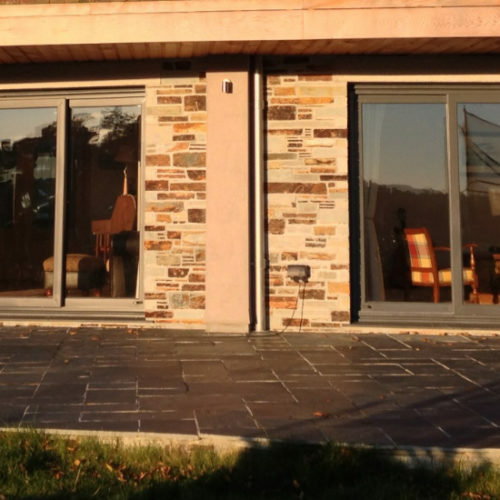 All of our different external doors can be fully personalised, giving you exactly the right look for your home. You can choose from a wide selection of ranges and colours, or design your own completely bespoke door with our door designer. There are several features common to all KLG Rutland doors that set our products apart from the competition in Nottingham and Derby. Whatever you’re buying, you can expect a consistently high level of quality thanks to our innovative manufacturing processes based in the East Midlands. 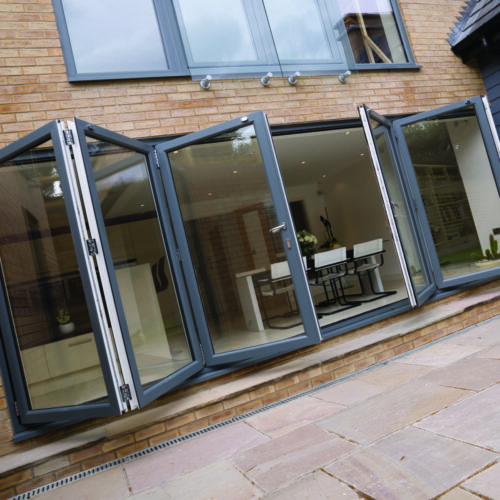 All of our doors come with state of the art locking systems built in. They are strong and durable, keeping your home completely secure. If you leave your house for a day at work or a month long holiday, you can rest assured that you have the most secure doors protecting your home. 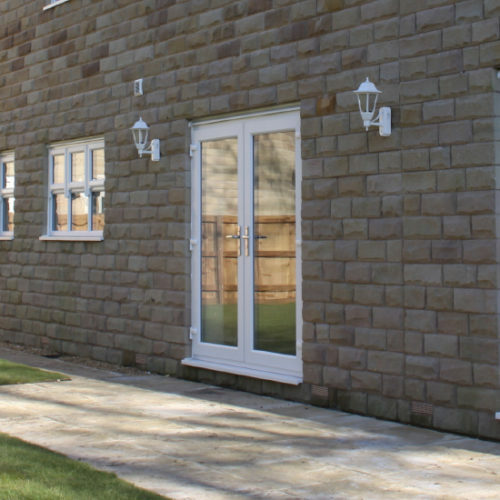 Double glazing is the minimum for all of our doors, with some incorporating triple glazing. They are also perfectly sealed around the edge, and made with naturally insulating material. All of this means that your home will retain its heat, saving you money on your energy bills, and keeping you warm. 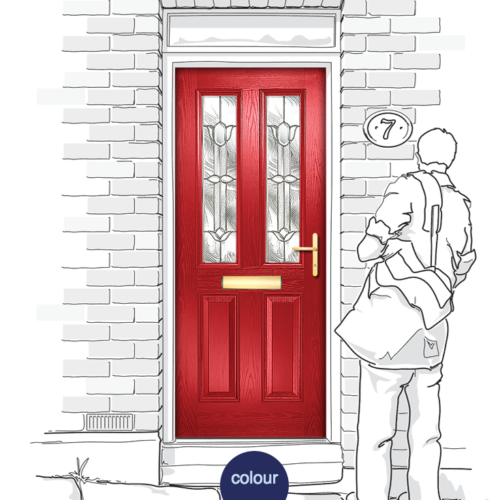 Every KLG Rutland door is covered by a comprehensive 10 year guarantee backed up with a DGCOS insurance warranty. If anything should go wrong with your door, you will be completely covered. Every KLG Rutland door is manufactured in Britain with the highest standards of security and energy efficiency in mind. Increased security is one of the most important factors when choosing a new external door and every KLG Rutland door has been thoroughly and rigorously tested. With a huge range of choice on offer, you can make sure that whatever door you buy integrates seamlessly with your home and creates the look you’ve dreamed about. Every KLG Rutland door is covered by a comprehensive 10 year guarantee backed up with the DGCOS insurance warranty providing you with the secure knowledge that if anything should go wrong you have access to free arbitration from the Ombudsman. If you’re looking for doors in Nottingham, KLG Rutland’s Beeston showroom is easy to get to with plenty of space to park. Located on Queens Road, we’re easy to reach whatever direction you’re coming from. Public transport links are also very good, with the University Boulevard tram stop around the corner. Our Derbyshire showroom is located on Nottingham Road in Ilkeston and has its own free parking. It is easy to reach from Derby, Nottingham and the M1, with a number of bus stops close by. Visiting one of our showrooms is the perfect way to see our doors up close before you make your decision. "Thank you for the excellent service provided by your company. We are delighted with our new front door - the high standard of workmanship and attention to detail of your installer was really impressive." "As we now live in a society where people are quick to complain, but slow to praise, I am writing to say how pleased I am with your service. The fitter was on time, he was very efficient, an excellent workman, he cleaned up after himself and was very pleasant. A rarity nowadays." "We are extremely pleased with the finished result, it looks lovely. We would also like to praise the hard work of all your team. The tradesmen were very professional, tody and always turned up on time. It was built during winter and there were no hold ups at all. Any queries were dealt with swiftly and courteously. We would have no hesitation in recommending your company to others and would happily deal with you again."